EPA 23 MPG Hwy/18 MPG City! CARFAX 1-Owner, Extra Clean, Dealer Certified. Navigation, Satellite Radio, Bluetooth, iPod/MP3 Input SEE MORE! KEY FEATURES INCLUDE Navigation, 4x4, Back-Up Camera, Satellite Radio, iPod/MP3 Input, Bluetooth, CD Player, Aluminum Wheels, Keyless Start, Smart Device Integration MP3 Player, Privacy Glass, Keyless Entry, Child Safety Locks, Steering Wheel Controls. OPTION PACKAGES EXTERIOR PACKAGE 5 Black Oval Tube Steps, Exhaust Tip, Spare Tire Lock, Bed Extender, TOW PACKAGE (Automatic Transmission) 4- and 7-pin connector w/converter, Class IV Hitch Receiver, ATF Cooler, Trailer Sway Control, 130 Amp Alternator, Power Steering Cooler, Engine Oil Cooler, ALL WEATHER FLOOR LINERS & DOOR SILL PROTECTORS. Toyota TRD Off Road with Black exterior and Graphite w/Gun Metal interior features a V6 Cylinder Engine with 278 HP at 6000 RPM*. Serviced here, Non-Smoker vehicle. SHOP WITH CONFIDENCE 12-Month/12,000-Mile Limited Comprehensive Warranty, 7 Year/100,000 Mile Limited Powertrain Warranty from date of original purchase, 160-Point Inspection and Reconditioning, 1 Year of Roadside Assistance, Vehicle History Report MORE ABOUT US This great value located at O'Brien Toyota in Indianapolis. See the difference being family-owned makes in your customer service. Our family works for you. Since 1933. Pricing analysis performed on 4/22/2019. Horsepower calculations based on trim engine configuration. Fuel economy calculations based on original manufacturer data for trim engine configuration. Please confirm the accuracy of the included equipment by calling us prior to purchase. Clean, CARFAX 1-Owner, Toyota Certified, ONLY 33,165 Miles! JUST REPRICED FROM $21,760, $200 below Kelley Blue Book! Nav System CLICK NOW! KEY FEATURES INCLUDE Back-Up Camera, Hybrid, iPod/MP3 Input, Bluetooth, CD Player, Aluminum Wheels, Keyless Start Rear Spoiler, MP3 Player, Keyless Entry, Child Safety Locks, Steering Wheel Controls. OPTION PACKAGES DISPLAY AUDIO W/NAVIGATION & ENTUNE. Toyota Three with Winter Gray Metallic exterior and Dark Gray interior features a 4 Cylinder Engine with 134 HP at 5200 RPM*. Non-Smoker vehicle. AFFORDABILITY Was $21,760. This Prius is priced $200 below Kelley Blue Book. 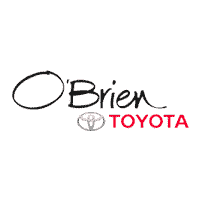 PURCHASE WITH CONFIDENCE 12-Month/12,000-Mile Limited Comprehensive Warranty, 7 Year/100,000 Mile Limited Powertrain Warranty from date of original purchase, 160-Point Inspection and Reconditioning, 1 Year of Roadside Assistance, Vehicle History Report BUY FROM AN AWARD WINNING DEALER This great value located at O'Brien Toyota in Indianapolis. See the difference being family-owned makes in your customer service. Our family works for you. Since 1933. Pricing analysis performed on 4/8/2019. Horsepower calculations based on trim engine configuration. Fuel economy calculations based on original manufacturer data for trim engine configuration. Please confirm the accuracy of the included equipment by calling us prior to purchase. EPA 50 MPG Hwy/54 MPG City! CARFAX 1-Owner, Dealer Certified. Heated Seats, NAV, Sunroof, Bluetooth, iPod/MP3 Input, Keyless Start CLICK NOW! KEY FEATURES INCLUDE Navigation, Heated Driver Seat, Back-Up Camera, Hybrid, Satellite Radio, iPod/MP3 Input, Bluetooth, CD Player, Aluminum Wheels, Keyless Start, Blind Spot Monitor, Cross-Traffic Alert, Lane Keeping Assist, Smart Device Integration, Heated Seats. Rear Spoiler, MP3 Player, Keyless Entry, Child Safety Locks, Steering Wheel Controls. OPTION PACKAGES ADVANCED TECHNOLOGY PACKAGE Color Head-Up Display (HUD), speedometer, navigation and hybrid system indicator, Power Tilt/Slide Moonroof w/Sliding Sunshade, ALL-WEATHER FLOOR LINER PACKAGE all-weather floor liners and cargo tray plus. Toyota Four with HYPERSONIC RED exterior and BLACK interior features a 4 Cylinder Engine with 121 HP at 5200 RPM*. SHOP WITH CONFIDENCE 12-Month/12,000-Mile Limited Comprehensive Warranty, 7 Year/100,000 Mile Limited Powertrain Warranty from date of original purchase, 160-Point Inspection and Reconditioning, 1 Year of Roadside Assistance, Vehicle History Report MORE ABOUT US This great value located at O'Brien Toyota in Indianapolis. See the difference being family-owned makes in your customer service. Our family works for you. Since 1933. Pricing analysis performed on 4/22/2019. Horsepower calculations based on trim engine configuration. Fuel economy calculations based on original manufacturer data for trim engine configuration. Please confirm the accuracy of the included equipment by calling us prior to purchase.